Nice work everyone! Keep it coming! 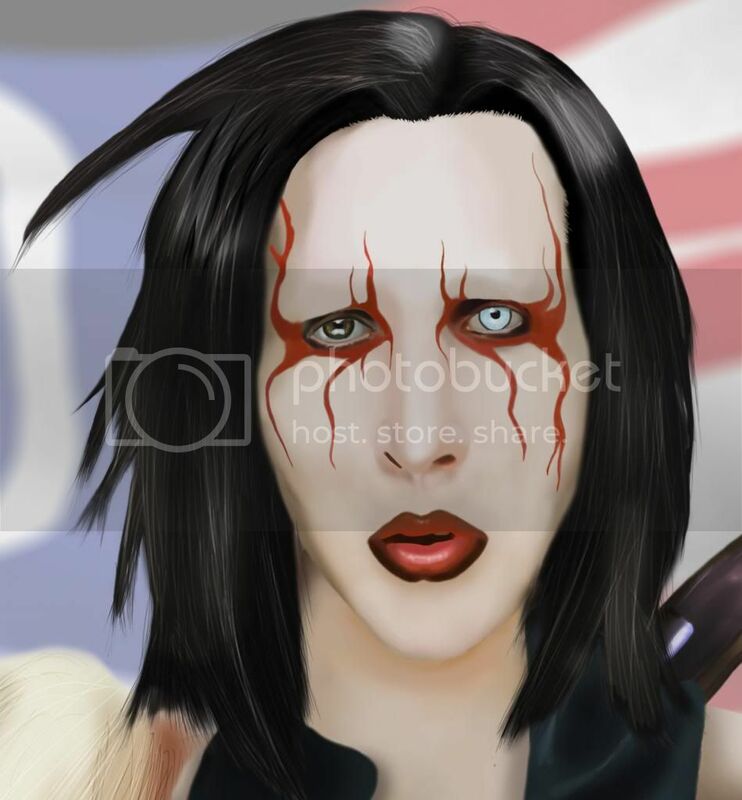 Charicature of Manson. Was intending to do one of each era but that never happened. Another crooked image. Was curious to do one with realistic shading as opposed to the cartoony type of thing above. A gouache painting. It's for sale, btw. I have no motivation. And thanks. Nice^ I really love the second one. Anyone know which interview that glitter graphic, is from? 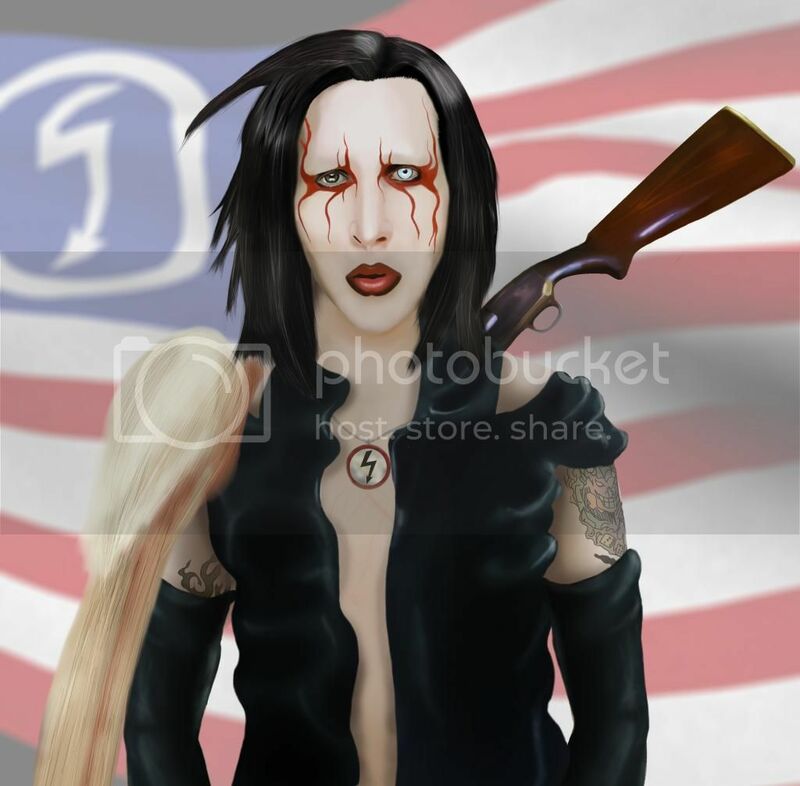 I'm not sure if you can find this interview without polish translation, I'm sick, tired and lazy today so I didn't even tried to find it ^.^"
I made up his outfit, and the flag is actually 3D I modeled textured and rendered that for the background. Also its really a hug painting, but photo bucket downsizes when you post so you can't really see all the little details I put in... Like the eyes, and the scratches on his chest. Guess I have to go snap some close up and update this post with lol. Last edited by HeartShapedAsses; 10-10-2012 at 12:05 AM.